It is happening in the UAE - yes it is! : NAKKASH Gallery Opens New Showroom on Sheikh Zayed Road – A New Milestone to Celebrate 30 Years! NAKKASH Gallery Opens New Showroom on Sheikh Zayed Road – A New Milestone to Celebrate 30 Years! NAKKASH Gallery, the premium destination for both indoor and outdoor design, held a grand opening and cocktail reception to celebrate the launch of its 800 sq meter showroom in the heart of Sheikh Zayed Road. 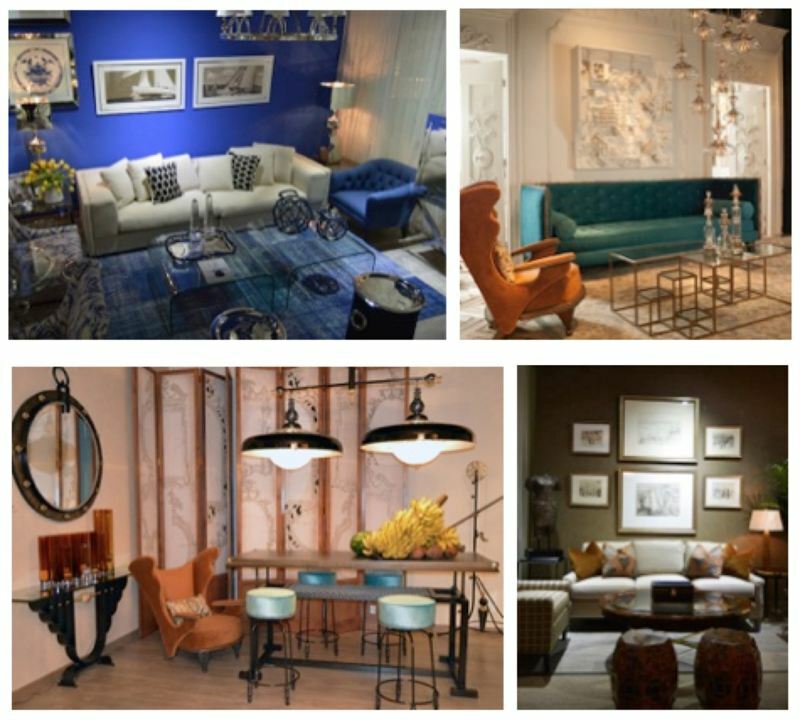 The event was attended by VIP clients, leading interior decorators and top editors. “We felt it was time to bring our concept closer to our customers, and offer them easier access to our products and services” said founder Wajih Nakkash. “Thirty years is an important milestone and we are showing our customers our dedication to always providing the most interesting selection of design and furniture from around the globe.” The new showroom highlights the gallery’s commitment to showcasing the most up to date contemporary furniture and will feature prolific designers such as Celerie Kemble, Keno Bros, and Lisa Corti, among others. Established in 1983, NAKKASH Gallery has been at the forefront of interior design in the region for over three decades, reflecting its passion for both contemporary design and the antique. The gallery is a haven for iconic and limited-edition pieces sourced from all corners of the world. Whether it is African ethnic pieces or stunning contemporary decor, the showroom has become synonymous with originality, effortless style and elegance. It has established a superior reputation and earned the confidence of clients seeking an adventure when it comes to design. Exemplified by its mixing of diverse objects in the gallery space, NAKKASH Gallery constantly seeks to produce environments that have versatile character and can unite the contemporary and classic in a subtle way. At the forefront of the gallery is prolific interior architect, Wajih Nakkash. He began his education at the Beaux Arts in Beirut, where he received a Bachelor’s Degree in Architecture. He continued his studies in Florence graduating with a Master’s Degree in Interior Design. Wajih spent several years in Italy perfecting his trade before moving to Dubai in 1980 to establish his own interior design firm. 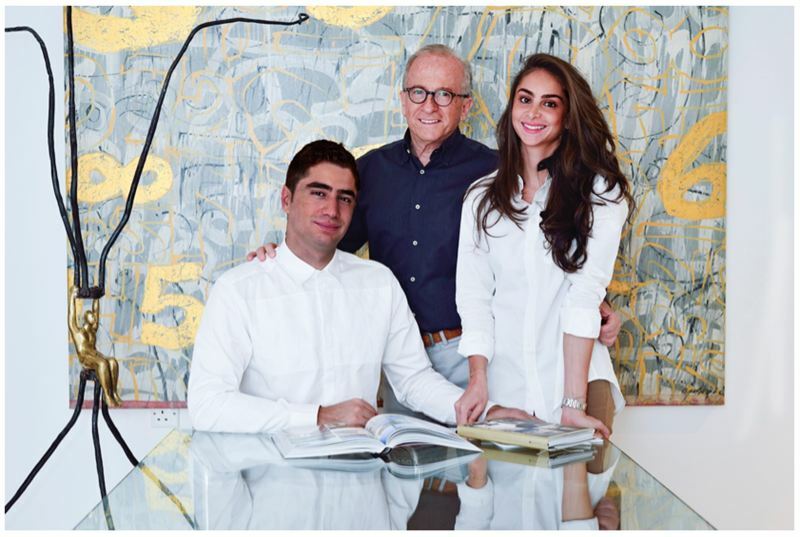 Wajih has now made his gallery into a more contemporary, family run establishment by utilizing the new wave expertise of his children, Omar and Aya Nakkash, to drive the galleries future. Born and raised in the UAE, Omar Nakkash completed his Bachelor’s in Design & Management from Parsons The New School for Design in New York. He then decided to follow in his father’s footsteps by moving to Milan to complete his graduate studies in Interior Design from Scuola Politecnica de Design. Like his father, he has a passion for creativity and design and enjoys every part of the design process, from the initial creative concept to the finished project. Aya Nakkash decided to compliment the family business by pursuing a career in Marketing and graduated with a Bachelor’s in Business with a concentration in Marketing from Marymount University in Washington, DC. She then decided to obtain her Master’s in Strategic Marketing from Imperial College London. Aya brings a knowledge of the marketplace that has helped enhance the gallery’s brand image and continues to find new horizons for the family business.